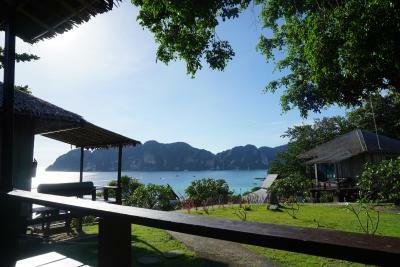 Lock in a great price for HIP Seaview Resort @ Phi Phi – rated 8.1 by recent guests! We Loved The Staff, They Were Extremely Atteentive To My Phiance & I. I Really Booked This Trip Last Minute, So We Were A Bit Disappointed That We Didn’t Have Our Own Beach Area. (We Just Used The Resort Next Doors Beach Area). I Think It’s A Great Value. We Will Return Next Year With Our 3 Y/O Boy. PS I Didn’t See In The Booking Details The Resort Was 167 Steps Up & Down From The Beach Area. This Padt Was A Bit Annoying But Made Me Excercise. Breakfast was phenomenal and the staff was insanely friendly/helpful. Views were also very amazing for sunset (where we were particularly). Overall a very great experience and wold definitely come back to check it out again. The resort is located up on the hill, in contrast to some other reviews we did not mind climbing up the counted 148 stairs once or twice a day! In return you get a superb view of the bay. The bungalows are super simple and clean! Actually it’s kind of a modern day living thing with simple but nice to look at furniture. Again, shower, toilet and the wardrobe-room are always clean. The Breakfast is pretty good compared to other thai hotels in the same league, you can choose between different sets (eggs&bacon/ham, cereals, sandwiches...) and always get a nice plate of watermelon and pineapple. The staff is just awesome and will make every wish come true. Watch out when having bananas for breakfast! There are monkeys waiting for you to be distracted and steal the bananas off your plate. Located on the hill in the calm side of phi phi island , we very much enjoyed our stay there , staff were super helpful and friendly , 2 minutes walk to the long beach, 25 adventurous hike to get to the town (or you can take taxi boat) , the bungalow was clean and well equipped. 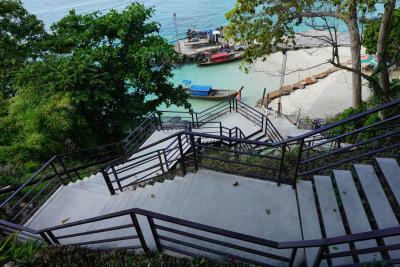 Note that you got 1+ minutes of stairs climbing to reach there , but it totally worth it , if you want to relax and experience the island life , that’s the place. 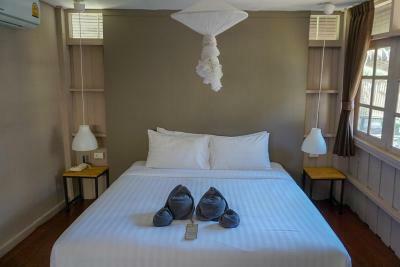 Sea view villas are very good and very silent with very much privacy for the couples. Amazing views of Long Beach! The bungalows were comfortable, the AC worked perfectly and everything was clean and fresh. The staff was really friendly and did everything to make us feel in paradise. They even prepared a birthday surprise! The location is stunning, there are several places to eat and drink at the beach at walking distance. Also places to get the most amazing Thai massages while looking at the sunset. Long Beach is a quiet place to just relax and enjoy, and at the same time you are only 5 min boat ride away from the center. We did a private boat tour with a local guide to see the whole island. We did snorkeling and saw the sunset from the boat, the most incredible experience. Amazing view from terrace, comfortable bed, the room was clean, nice beach, nice surroundings, nice staff. Perfect place for calm vacation. 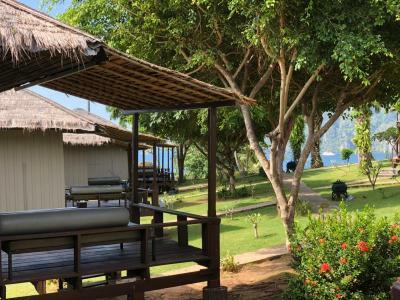 HIP Seaview Resort @ Phi Phi This rating is a reflection of how the property compares to the industry standard when it comes to price, facilities and services available. It's based on a self-evaluation by the property. Use this rating to help choose your stay! 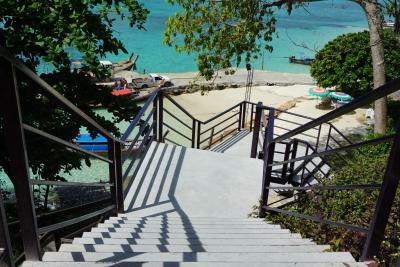 Located on a hilltop, HIP Seaview Resort @ Phi Phi offers accommodations in a peaceful Long Beach and is accessible via stairs only. 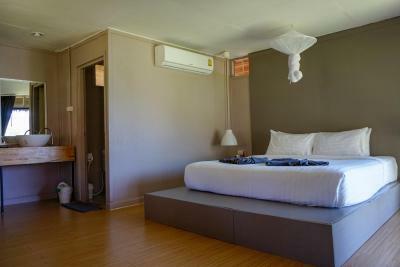 It features free WiFi throughout the property. All bungalows are nonsmoking and come with a private bathroom. They also feature a deck with view, comfortable mattress, refrigerator, safety deposit box, hot water and air conditioning. A tour information desk can assist guests in arranging snorkeling trip around the island. Massage places, restaurants, a bar and mini mart can be found within the area. The restaurant provides continental breakfast as well as a la carte menus including Thai and international dishes. Guests can reach the town center within a 10-minute boat ride or a 30-minute walk from the property. Loh Mu Dee Beach is approximately a 7-minute walk away. Airport shuttle services are available at an additional charge. 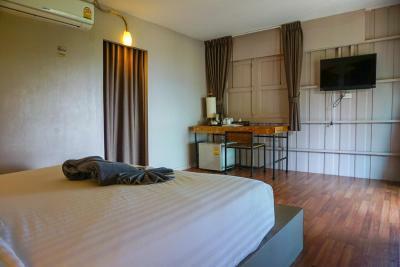 When would you like to stay at HIP Seaview Resort @ Phi Phi? This bungalow has a balcony, private entrance and air conditioning. This bungalow has a balcony, flat-screen TV and tea/coffee maker. This bungalow features a balcony, electric kettle and private entrance. 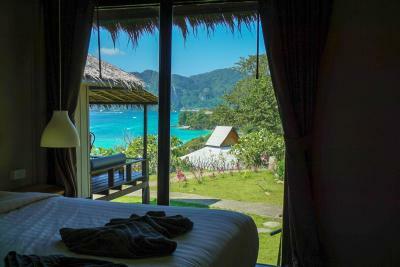 House Rules HIP Seaview Resort @ Phi Phi takes special requests – add in the next step! HIP Seaview Resort @ Phi Phi accepts these cards and reserves the right to temporarily hold an amount prior to arrival. Please note that the property is accessible up 150 feet of stairs. Please be informed that the property is located on Phi Phi Island which can be accessible via ferry from both Phuket and Krabi. Guests must arrive at Rassada Pier (Phuket) or Klong Jilard Pier (Krabi) before 15:00 hrs. to catch the last ferry to the island. Please note that the resort can be reached by a public ferry (subject to weather condition). The service is scheduled as below, however, it can be changed without notice. Kindly inform the property in advance of your estimated time of arrival. When arriving at Tonsai Pier on Phi Phi, please look for our staff and HIP Seaview sign. The staff will then arrange free transfer from Tonsai Pier to the resort. 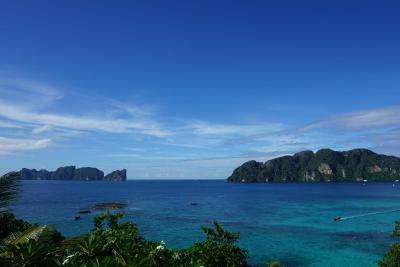 Please inform HIP Seaview Resort @ Phi Phi of your expected arrival time in advance. You can use the Special Requests box when booking, or contact the property directly using the contact details in your confirmation. - Long walk to the main town where most restaurants and entertainment was (could be seen as a positive, we were fairly neutral as we wanted the best of both worlds) - Room was a little dated. Ants in our room occasionally, especially if food left out. 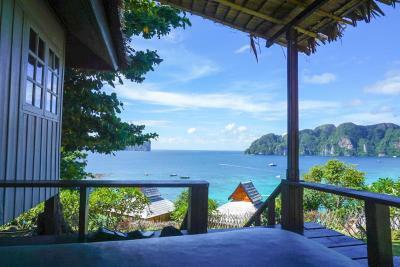 - Location was remote and quiet (well out of the town) - Cheap boat service to main town - Good on-site restaurant with Thai food - Great breakfast - Staff were very friendly and helpful - Monkey's nearby - THE BEST beach we visited. A swim out to shark's point and well partitioned areas to snorkle. Saw some incredible fish, living coral and when swimming out (apparently) you can spot Tiger Sharks. The view from the villas (if you get seaview) is amazing. Rooms are very nice. Regarding the interiors, the rooms are old, you can hear the boats noise early in the moorning and TV signal is not very good. The hotel is far from the town and pier. If you want to go by foot, you will walk around 45min. Note that you will not have a street but yes a walk between beach, resorts and some dificult trails. Unthinkable to do that at night. The safe option is by boat but the hotel doesn't provide a free taxi boat. Please see below the prices between hotel and pier and vice versa, per person and one way only: 07:00 to 18:00 > 100bath 18:00 to 22:00 > 150bath 22:00 to 07:00 > start in 200bath and can amount up to 1000bath The access to the hotel is also bad, you have a long and incline stairs. The staff is always nice and available to help us. The rooms did not impressed, however some of them have an ocean view. Despite breakfast is not buffet, you have some tasty options to choose. If you want to book a boat tour, the Hip staff can arrange that by you (recommend). 167 Steps Up & Down To The Beach Area. There is no facilities by the beach (chairs, showers, etc.). You have to take around 150 stairs to go from the beach to the hotel. Breakfast is not a buffet like every other hotel, you arrive in the morning and choose between a very limited options. Location is far from phi phi village 45 minutes by walk (not an easy walk) and 10 mins by long tail boat where you have to pay 150 baht if not in the arranged boats by the hotel (4 trips ends at 12 Pm). the view from the hotel is just amazing. The water from the toilet was yellow and it’s stained the bowl and in sink as well. Breathtaking view from the restaurant balcony. Spacious bedroom. Far from town which took us 45mins by foot. Cute garden and trees and we saw monkeys looking for foods in bin and ruined the flowers in the garden. could be more boats to the town. wonderfully welcoming place. excellent staff. the owner will do anything to make your stay more enjoyable. access to beautiful beach. lovely breakfast. breathtaking views. It is a little bit far from the city. The view from the property is just magnificent. The breakfast is good. The room was clean and the bad was very comfortable. Perfect view to the sea, nice garden and very cute people. If you like nature and want to spend your vacation in a nice quite place this is your choice! I would stay there for longer time instead of Phuket. Rooms are a bit small especially the bathrooms, for the price paid to get the magnificent view we felt a bit disappointed, view is amazing but rooms are the same as others. The place is still developing so there’s no pool yet. However the real red flag for us wasn’t the pool but not having a dedicated place with transats etc at the beach. 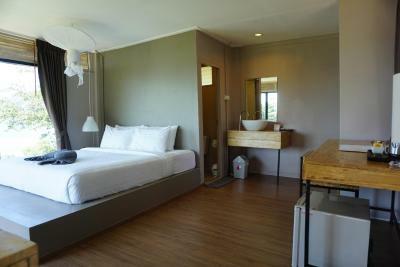 In the end, maybe it’s a bit overpriced but the place is still really nice despite the lack of facilities. We had a magnificent view room, and the whole place was very beautiful, with trees flowers and birds on the top of of the island. Staff is very welcoming and dedicated, breakfast is very good, as well as the food from the restaurant! The beach down (Long Beach) the hotel is just wonderful and for me one of the best in Ko Phi Phi. I could stay again there. Not much really. It was an awesome place! The place and nature very beautiful and peaceful.